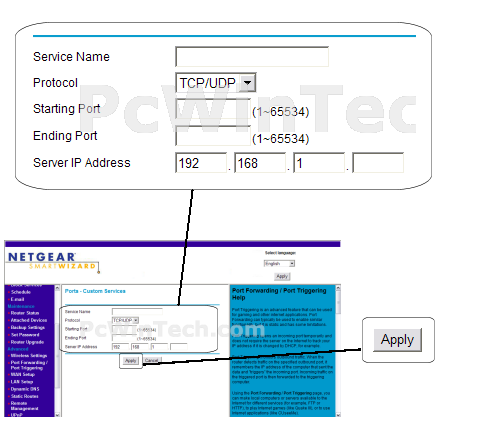 Once logged into your router click on "Port Forwarding/Port Triggering"
Wait for the page to load and click on "Port Forwarding"
Next select "Add Custom Service"
First give your entry a name under "Service Name"
Next for "Starting Port" enter in the starting port you would like to forward. 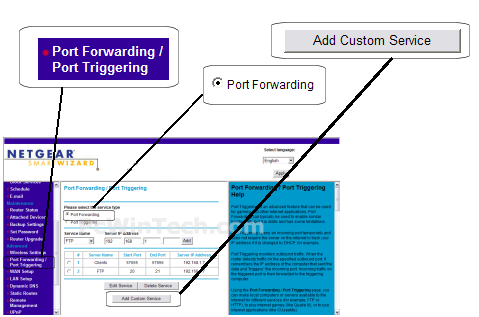 For "Ending Port" enter in the ending port you would like to forward. 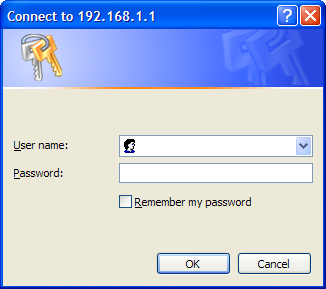 Enter the computers IP address in "Server IP Address"
Repeat steps 4 & 5 for any more ports you want to forward.